Kwasi was first elected Member of Parliament for Spelthorne in 2010 and is Parliamentary Private Secretary to the Chancellor of the Exchequer, Philip Hammond. Kwasi has consistently supported local enterprise and regularly calls for business-friendly reforms in Parliament. To find the local entrepreneurs of tomorrow, he launched the Spelthorne Business Plan Competition in 2013. The competition has successfully run for the past four years and will be held again in 2018. Kwasi has been a leading voice in the campaign to increase Heathrow’s capacity and he will continue to ensure that it remains one of the world’s top airports. 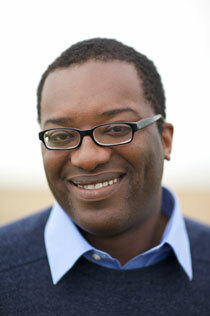 Kwasi has a keen interest in Middle Eastern affairs and is Vice-Chairman of the Conservative Middle East Council. He has travelled widely throughout the Middle East and Gulf region and has contributed to a number of publications on the topic. In Parliament, Kwasi has led Westminster Hall debates on the UK’s engagement with Libya and Egypt. Kwasi holds a doctorate in British history from the University of Cambridge and has authored several books including: Ghosts of Empire, War and Gold and Thatcher’s trial. Kwasi Kwarteng is a committed constituency MP, who has represented Spelthorne since 2010.